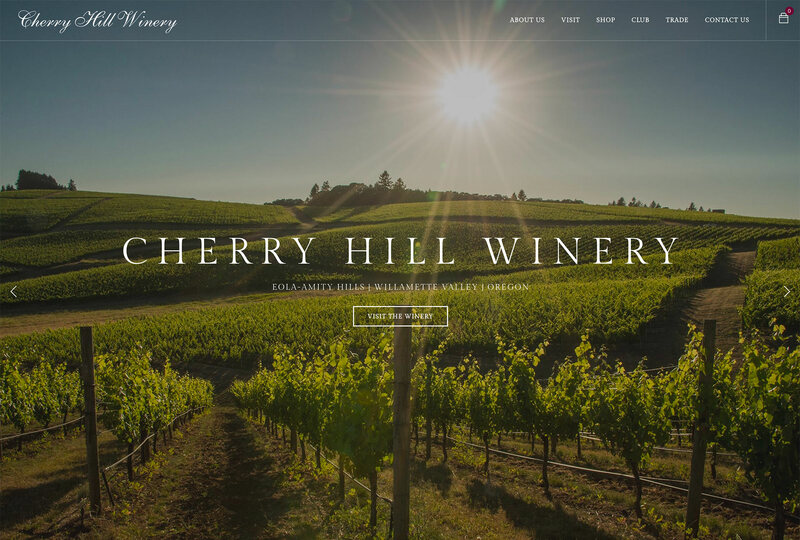 We worked with Cherry Hill Winery to create an entirely new web presence for their beautiful winery and vineyard. The new site shows off their best photos and video via full screen galleries and ample use of white space. The website is built on WordPress with a new online store built on WooCommerce. Vinbound also provided aerial photography and wine bottle photography for the project. The result is a polished website that inspires wine tasters to visit the property and become lifelong fans of their wines. 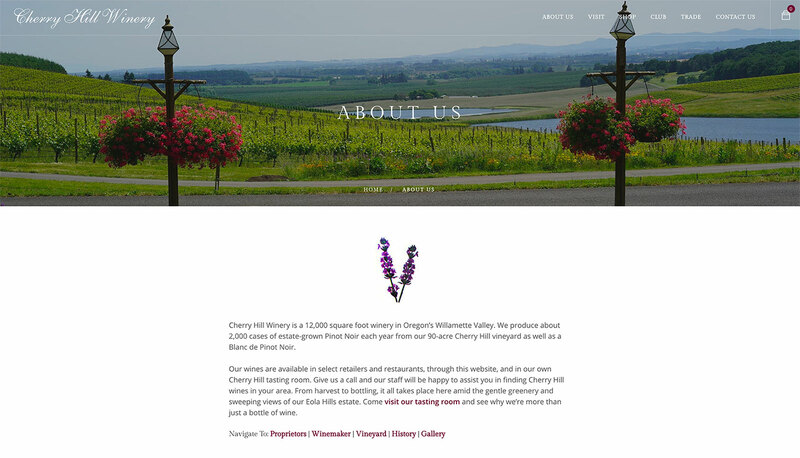 The Cherry Hill Winery website was built on WordPress. The online store was built on WooCommerce, an excellent option for WordPress websites. Vinbound offers WooCommerce setup and integration for $750. 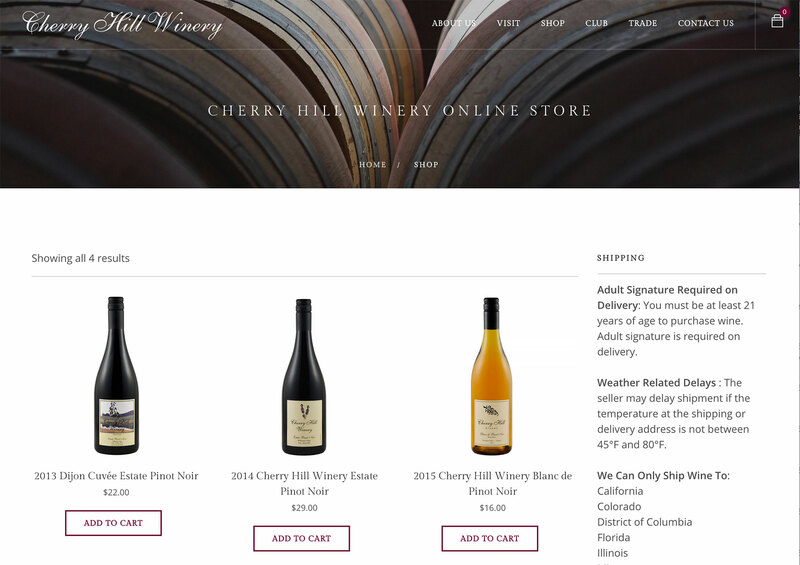 No monthly fees, etc., just easy online wine sales for WordPress websites.